I live above a restaurant in a one-bedroom I’ve had for over four years. There are two other residential units in the building. Lots of stuff breaks all the time in my place, and I’m sort of embarrassed to tell you that I’ve just gotten used to it over the years. The people who manage our building “fix” things pretty quickly, but stuff is never fixed for very long. Anyway…while the constant plumbing leaks and appliance crap-outs are a nuisance, the latest problem is one that is, to me, downright dangerous. It appears we have mice or rats living in our walls (or, at least, traipsing through on a regular basis), and they have chewed through the wires of our doorbell buzzing system (more on that in a minute). The property managers don’t have email, so I called them (I know you like to have everything in writing, and going forward I will do just that, but I was hoping you’d have some tips for me on things I definitely need to say in a forthcoming letter to the managers). They sent out an exterminator who determined that the rats/mice/whatever were coming up from the restaurant that makes up the bottom floor of our building. Our property managers told me they have “no control over commercial space,” and that the best they could do was send a “strongly worded” letter to let the restaurant know that someone would be calling the Health Department (and then they told me I would have to be that “someone”). 1. While the rats may be coming from the restaurant, shouldn’t my landlord be doing something to ensure that our building is safe? 2. How can I make sure the Health Dept. responds to my complaint, if this coming week goes by and I still don’t hear back? Should I be making a paper trail for those conversations, too? 3. What are the “must-says” in my first letter to the property managers (besides recapping what has happened on my part–and not happened on theirs–so far)? 4. If nothing gets done once I start a paper trail with our property managers, what can I do? A last bit of info that may or may not be relevant: The building owner lives in another city; the people I deal with are the property managers, whose office is near my apartment. You can sign me “Frustrated and Out of Ideas,” ’cause that’s what I am. I am frustrated too, frustrated with so-called property managers who refuse to do their job. What? Your property managers don’t manage the entire building? I find that hard to believe. Of course they have control over the commercial space. They should be relaying your complaints to the restaurant, as should you. They should be made understand that the landlord, their client, could eventually be sued. They could also be sued as the landlord’s agents. Rats and mice are a well known public health problem. The San Francisco Department of Public Health has a special Rodent Abatement Program which is both proactive and complaint based. One can complain to the DPH about a variety of public health issues including rats mice and bedbugs. You have already called them but note that you can email them as well. You didn’t mention if you contacted the restaurant. I think you should write them a letter as well. You should also look into “reviewing” them on Yelp, Urban Spoon, CitySearch, and any number of internet review sites out there. Remember if the rats made it up to your place there are plenty more in the restaurant downstairs. I frequent many restaurants and I don’t want to have to guess if that thing in my salad is a currant or a turd. You should also copy all of your correspondence to the owner of the building. He or she may not know the whole story given the sloppy management. Stay vigilant with DPH and also complain about the restaurant if they refuse to take steps to abate the problem. Given the condition of the building and the inadequate repairs, you should also call a Housing Inspector at the Department of Building Inspection. Make sure that you are able to show the inspector everything you think may be a problem. If there is evidence of rats or mice, the Housing Inspector will note that too. Take photographs. If you can trap a rat and snap a photo, there isn’t much more dramatic evidence. See for yourself at my blog post, Every Tenant Has One. As you develop evidence make sure the managers and the owner get copies. Continue to press them to repair and exterminate. You should also demand that they partially credit your rent for decrease in services. Finally, if the landlord’s response is inadequate or nil, file a petition for decrease in services at the Rent Board. As usual, I recommend that you bring all of your documentation to the San Francisco Tenants Union to develop your overall strategy. Living above a restaurant is never easy. One always runs the risk of rats, cockroaches and other vermin attracted by the food. There’s also noise and ventilation grease and late night activity. I would never live above a restaurant unless the establishment and my apartment were separated by several stories. And the rent would have to be cheap. 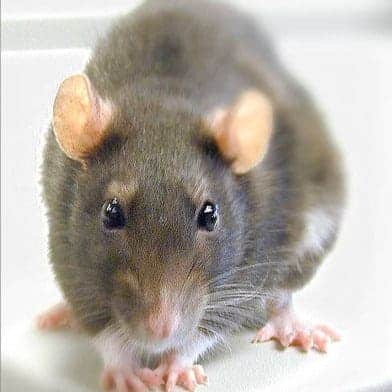 Serious illness can result from rats in or near a living space. I know someone who contracted Q fever from rats in the attic of his house, and who was seriously ill for weeks before it was correctly diagnosed. If you have a sleazy, irresponsible landlord or property manager, you always have a turd in your salad.